It’s been a while since I saw a concert at The Agora. In fact, the last time I was there was on a sultry summer night in 1978, Aug. 9, to be exact. On that evening a brash young singer from New Jersey and his band took the stage and gave the performance of a lifetime, which soon thereafter catapulted them to mega stardom. His name was Bruce. And the rest, as they say, was history. Last night, The Brothers Osborne took The Agora stage with their band and gave everything they had to an adoring SOLD OUT crowd. 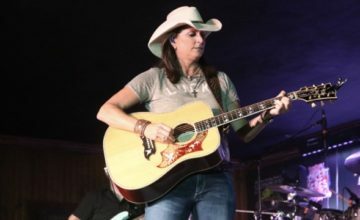 I’ve seen them twice before opening for Gary Allan and Dierks Bentley at The Country Fest. They were excellent both times. But as headliners of their own extended World Tour, they brought so very much more to the stage. Much like Bruce so many years ago, this dynamic duo is standing on the precipice of country music super stardom. The Maryland natives brought a compelling mix of Southern rock flavored tunes with just enough traditional country to leave no doubt about their genre. 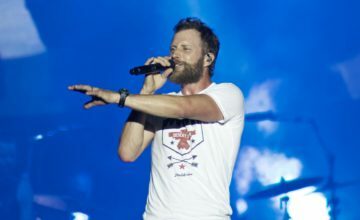 The Brothers Osborne are an anomaly in the realm of country music duo’s. 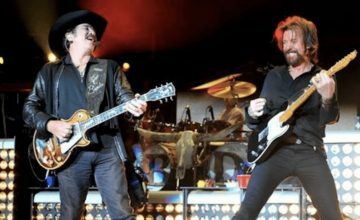 Unlike Brooks and Dunn, Sugarland or even Montgomery Gentry, when Troy was still alive, the brothers display a clear division of responsibility for their sound. Younger brother TJ is the voice behind the music. His rich bass lends real depth to all of the bands vocals. Big brother John masterfully handles lead guitar duties. He’s a special player. I would count him, along with Keith Urban and Brad Paisley, as the best pickers in country music today. The energy and vibe they created was simply spectacular. Crowd engagement and reaction was highly enthusiastic all night long. The Agora, which isn’t known for featuring country acts, for this night at least, was transformed into the Ryman Auditorium North. The show was more than worthy of being placed in that category. They did all of the best songs from their Pawn Shop and Port Saint Joe albums, and included a couple of well chosen and very well received covers. Their last song, John Denver’s “Country Roads,” had every person in the place, including the bartenders, joining in on the vocals. It was amazing! This may well have been the boy’s best performance so far. 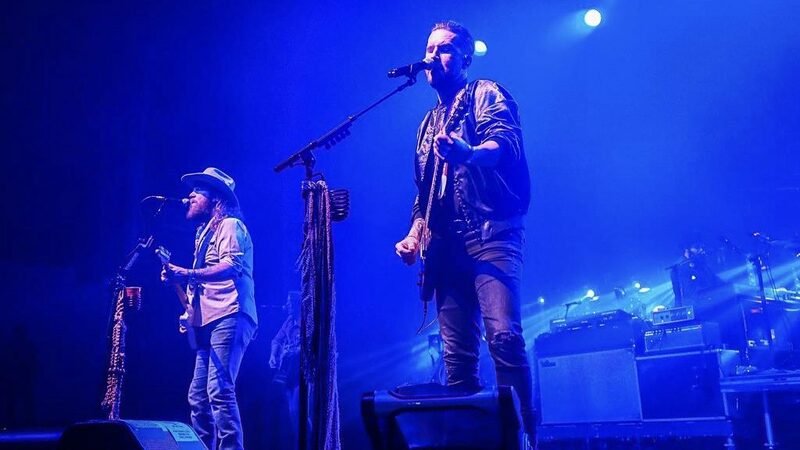 The Brothers Osborne kicked off the 2019 country concert season in a big way. Great songs, perfect delivery, high energy and an enthusiastic audience set the bar high for the upcoming year. As for the Brothers Osborne themselves, keep an eye out for them at an arena or stadium near you in the not so distant future. Like Bruce before them, who they list as one of their early influences, they’re ready to rocket to the top of the country music scene. Thanks John and TJ for a fantastic night of music!